Carla Boniface Devlin, CFA® | DWD Portfolio Solutions, Inc. Individuals and institutions will feel confident with the investment perspective Carla brings to each client relationship. As Chief Investment Officer and adviser, Carla manages portfolio strategies, conducts research and performs an in-depth analysis of each client's situation. 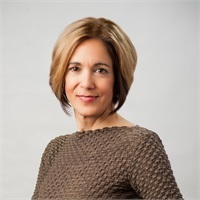 Her perspective stems from decades-long involvement in every aspect of her advisory client relationships as well as the breadth of experience in positions ranging from investment analyst to pension consultant to financial adviser in Boston, Seattle and Pittsburgh. This background affords her seasoned insight on crafting successful financial solutions. Carla is a Chartered Financial Analyst, a registered investment adviser and heads DWD’s investment committee. In addition, she is a long-standing member the investment policy committee of a leading regional Seattle-based advisory firm. Carla holds a masters in business (MSIA) from Carnegie Mellon University and a BA from Mount Holyoke College. Carla is passionate about advocating for the special needs community and is a member of the finance committee of Achieva as well as a trustee on the board of the ARC of Greater Pittsburgh. She and her family reside in Mount Lebanon, PA.